Has the chilling threat of extinction worn off at last for the long-endangered snow leopard? Not exactly – but the iconic big cats’ conservation status has been improved from “endangered” to “vulnerable”. The decision was announced by the International Union for Conservation of Nature (IUCN) – the global standard for assessing extinction risk. Experts have warned that the species still faces serious threats from poaching and habitat destruction. The elegant yet elusive creatures, which live in the mountains of central Asia, were first listed as endangered by the IUCN in 1972. Snow leopard researchers believe the species’ decline may have been slowed by conservation projects – including some to protect farm animals from the predators, which are sometimes killed in revenge for livestock losses. 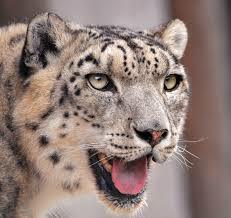 The number of protected areas within the snow leopards’ habitat has also increased significantly in recent decades.